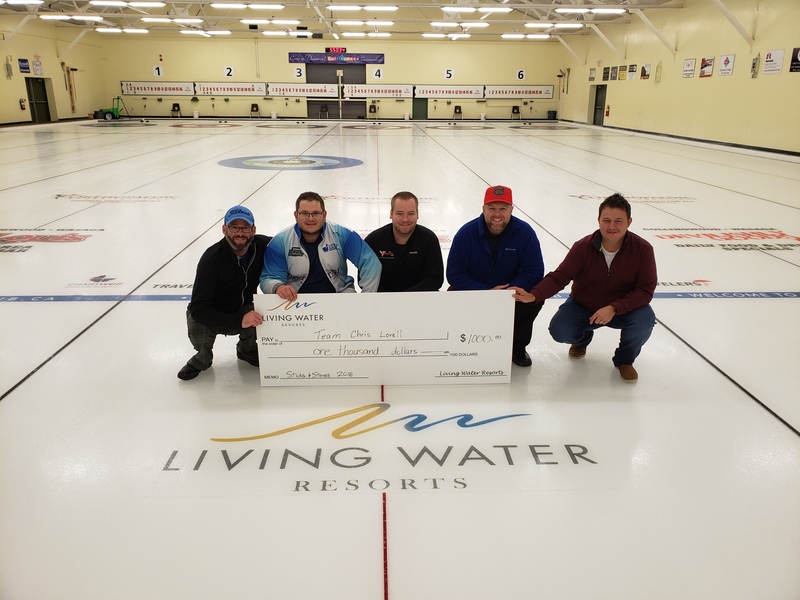 Living Water Resorts was proud to host the 2nd Annual Sticks & Stones Tournament at Cranberry Golf Course on September 29th and 30th, 2018. Many teams gathered from Collingwood, Tillsonburg, Toronto, and Oshawa to participate in the Sticks & Stones tournament! The two and a half days of competition consisted of 2 rounds of 18 hole golf scrambles and 4 draws of curling to decide the winner. Golfers competed in contests such as a “Closest to the Pin” challenge to decide ties for playoff games. The winner was crowned on a dramatic last rock “Draw to the Button” to win the championship! The winning team was “Team Chris Lovell” from Oshawa, who defended their title from last year. In total, the event raised just over $3500 for the Paraguay Missions Charity. These funds will go towards building 3 houses in Paraguay for families that would otherwise go without. A very big thank you goes to our partnership with the Town of Collingwood and the Curling Club of Collingwood!